Following concerns of dampness with their home our client instructed Kenwood to inspect. 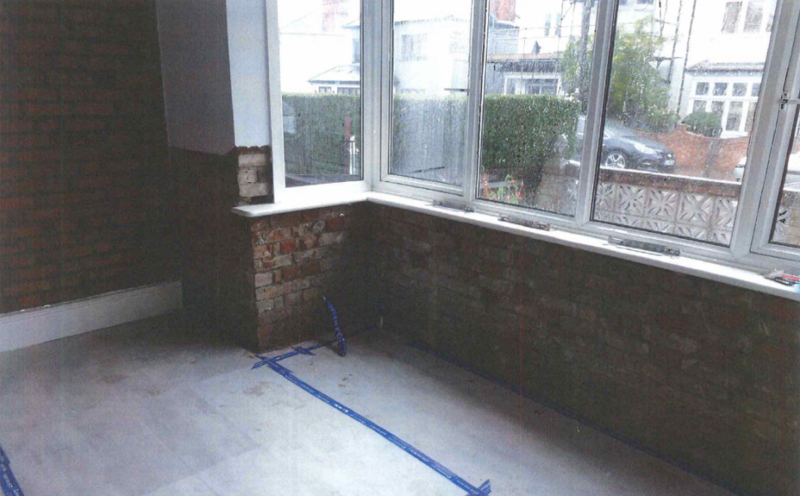 Rising damp was found to be affecting various walls throughout the property. In order to treat rising damp the wall plaster is removed back to bare brickwork. Kenwood operatives then drill into the wall and inject a silicone fluid into the brickwork until fully impregnated. This fluid creates and impervious barrier to prevent dampness rising up from the ground. To complete the treatment the walls are re-rendered using our bespoke rendering products. This contains, among other additives, fibres to reduce shrinkage and salt inhibitors to prevent dampness migration of masonry salts. The walls have been skim finished ready for our client to redecorate in about one month once the plaster has begun to dry out.